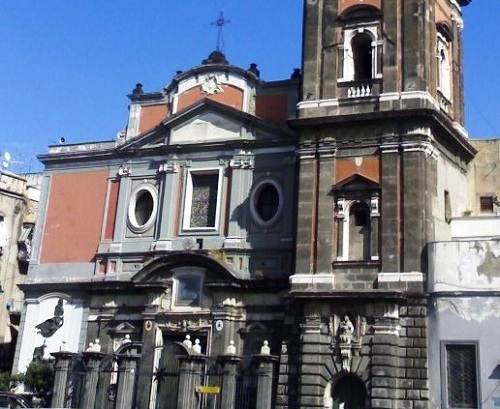 This church in Baroque style is located in the famous Piazza del Carmine, where important events of the Neapolitan Republic took place in 1799. Originally built in the XII century, it was enlarged between 1283-1300 and afterwards transformed between the XVII and the XVIII century. Near the church, there is the 75m tall belfry, characterized by dark trachytic rock, made by Fra’ Nuvolo in 1631, and covered with painted majolicas. 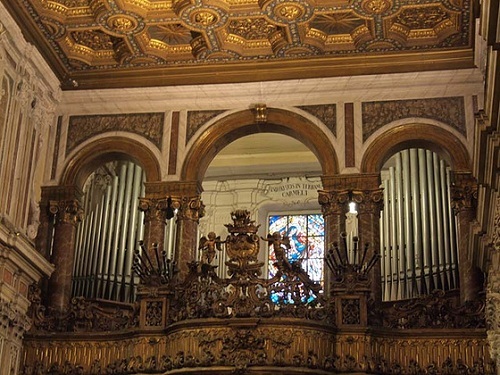 The actual façade has been made by Giovanni del Gaizo in 1766, while the interior part and its rich decorations made of marble and stucchi were projected by Nicola Tagliacozzi Canale between 1755-1766. 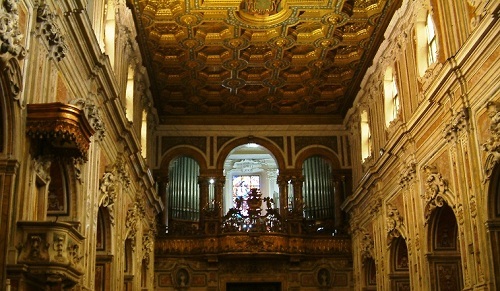 The sumptuous interior has chapels decorated with polychromatic marbles and many paintings of the Neapolitan School of the 600’s such as works of Mattia Preti and Francesco Solimena. From an archway in the belfry’s base one can access the cloister, with its porch, decorated from its walls to its vaults, with frescoes dating back to the XVI and the XVII century. Many famous people burial places are present in the church, among which: Corradino di Svevia, of whom there is also a statue made by Pietro Schoepf, the painter Aniello Falcone, the revolutionary Masaniello (whose sepulchrum can’t be identified) and some martyrs of 1799’s Revolution.